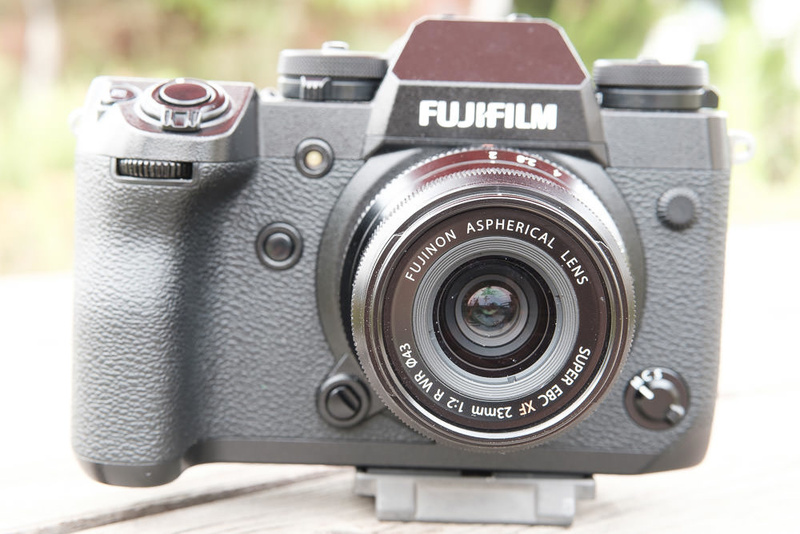 Fujifilm, unlike many manufacturers, uses the same sensor for almost all of its cameras. With each generation of sensor comes a new processor, and that gets used throughout their lineup. The differences are primarily implemented in software or by physical changes to the body styling. This leaves the buyer with the opportunity to choose based on preference, not on image quality. It also gives Fujifilm the opportunity to bring new features into all their bodies as they develop them. 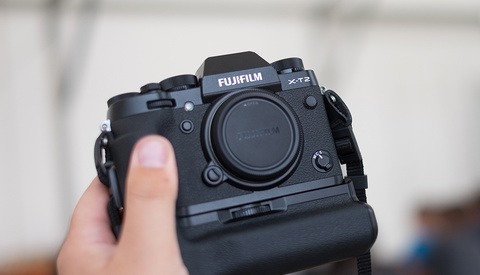 With each successive firmware version, Fujifilm has improved the feature set and overall performance of the X-T2 dramatically. 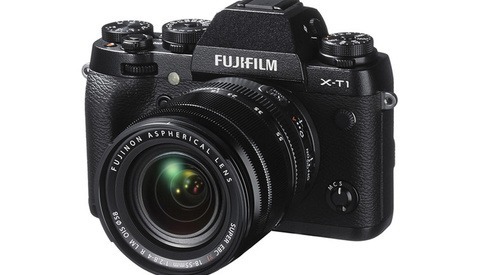 This round of updates brings many of the features of Fujifilm’s flagship X-H1 to the older body. So many features, in fact, that one is left to wonder if there is any reason to upgrade to the newer body. I know I was quite excited to update my beat-up old X-T2, so let's take a look at how this firmware stacks up. 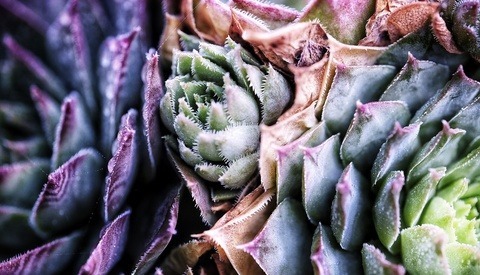 Macro photographers are going to love this new feature: automated focus bracketing. It is now possible to shoot up to 999 frames while having the camera move the focus slightly in between shots to enable maximum depth of field. Not being a macro photographer, I don’t have a wonderful frame to show you here, but I this shot of the Fujifilm X-H1 body should suffice. One of the big differences I noticed when picking up the X-H1 for the first time was how snappy the autofocus was compared to the X-T2. The new firmware brings that same enhancement to the older body, giving the PDAF points sensitivity down to -1EV and improving the camera’s ability to track in AF-C while zooming. What this translates to in practice is an overall faster autofocus system, especially in dim conditions. For wildlife or sports photographers, you will appreciate how well the zoom lenses track while you zoom now. The X-H1 introduced a feature that was long requested for the X-T2, internal F-Log recording. Finally, this feature has also made it into the X-T2. The log footage, coupled with the Eterna LUT (why couldn’t Fuji just include the Eterna film simulation on the X-T2? ), allows for footage that looks very much like the native Eterna footage from the X-H1. As you can see below, even with the LUT applied, some contrast and sharpening will need to be applied to get the X-T2 footage to match with the X-H1 footage. The slow motion video recording from the X-H1 has been passed over directly to the X-T2, so we now have access to up to 120 frames per second saved at either 120P or 23.98P depending on what you choose. For those who shoot a lot indoors under flickering lights, switching this mode on will make sure you get more even colors and tones across images shot in a sequence. For those who often switch between stills and video like myself, the X-H1 still has the upper hand here. The new firmware does not separate video and stills settings into their own menus. This is a small thing that makes working with the X-H1 so much easier. In addition, the X-T2 still does not allow us to select the bitrate for video recording. Perhaps this will come in a future upgrade, or perhaps this is Fujifilm’s way of differentiating the two cameras. 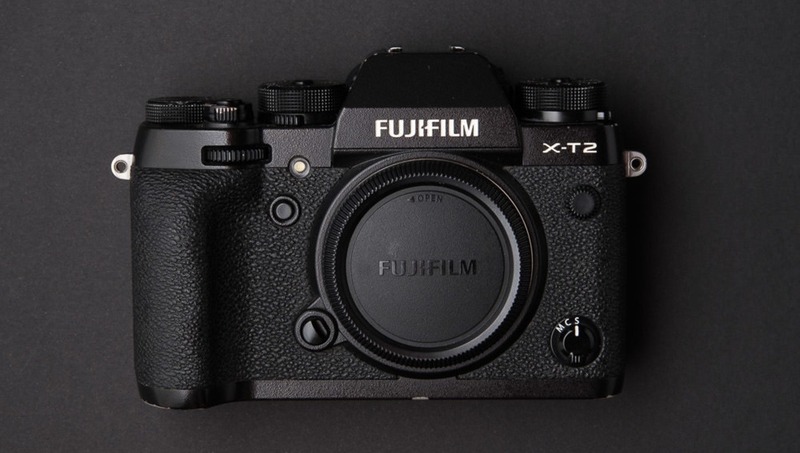 Of course, even with many of the features carrying over, some will still prefer the X-T2 body for its smaller size and lighter weight, just as some will prefer the X-H1’s greater heft and larger grip. Then, of course, there's the exposure compensation dial that is still present on the X-T2. The final differentiating feature, especially from a video standpoint, is the in-body stabilization of the X-H1. This makes such a huge difference to video stability and the need not to carry a tripod for simple night shooting. The Fujifilm X-T2 Firmware 4.00 brings so much of the X-H1 to X-T2 users that if you don’t need the IBIS, or prefer a smaller body, it would now make no sense to upgrade to the X-H1. Once again, there has been a new life breathed into an old product from Fujifilm. If you haven’t already, pick up the new firmware from Fujifilm, and if you’re still interested in an X-H1, you can get one here! The X-T2 is also currently on sale at B&H, so this could be a good time to pick up a bargain. 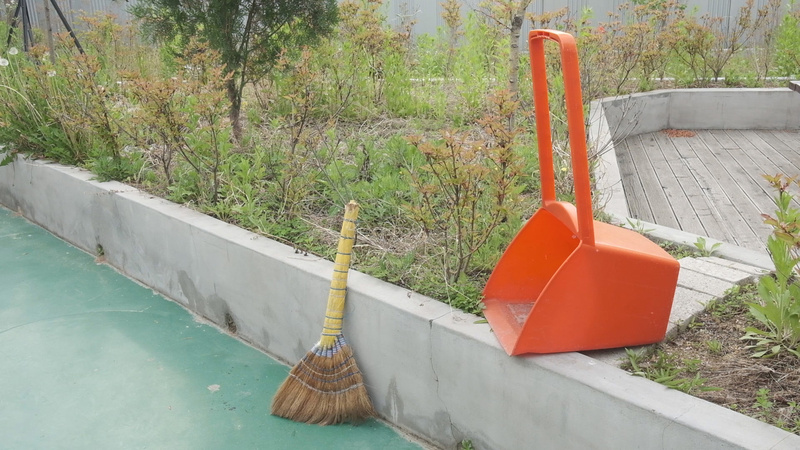 So far, the focus stacking feature is a major letdown. It is very ambiguous. Not being able to set the out point for the end of the focus sequence makes the whole process hit or miss. And what does a "step" even mean Fuji? The updated manual doesn't help either. It makes it sound like the last frame taken will be at infinity "regardless of the option chosen for frames, shooting ends when focus reaches infinity" but, apparently after testing, that is only the case if you have enough frames set to make it to infinity.... huh? I'm a big Fuji fan and I love everything else in this update but this feature is a bust. I'm glad to see feedback from someone who actually makes good use of this feature. I have a meeting with the rep of Fujifilm Korea coming up next week and I'll certainly make mention of this. Thanks! That would be awesome thanks so much! Would be awesome if you could ask them why 90% of the menu system is unavailable to add to My Menu, Q Menu, etc. 20+ clicks to turn on the electronic level when I need it and 20+ clicks to turn it back off. 13-15 clicks to disable shutter speed operation on the command dial when I want to make sure I don't accidentally change shutter speed. 13-15 clicks to re-enable it. I've been using the X-T2 for a year and a half and I absolutely love it. It completely sidelined my 5D3. But it's infuriating to not be able to add shortcuts to things I need to access routinely. It makes no sense at all. My Menu on the 5D3 is superior to the X-T2 in that regard. Finally being able to separate my work into folders (FINALLY, on the 4th firmware revision) is a welcome and overdue feature. It's also another menu item that I had in My Menu on my 5D3 that I can't add to My Menu on the X-T2. I just don't understand why Fuji doesn't allow us to customize the camera to our needs. Their My Menu implementation is effectively useless. for the level, it's part of the custom functions if i'm not mistaken (upper button of the circular dial buttons on the back of the camera) at least in x-H1 it's like that, might check that one in the manual... i was surprised when i decided to read the manual, how many functions were really accessible, and how i felt they were so complicated to reach and find before doing so. Keep me posted in any case, would be happy to get the feedback. Just checked again. Either I’m completely blind or what you’re describing is new to the X-H1. I’ve actually reread the manual a number of times, including each time the firmware is updated. I really do love shooting with this camera and want to get the most out of it. These artificial constraints on customization are maddening. I totally agree on the artificial constraints, It's always tough as we have ideas and engineers have other ones. That being said, Fuji is the most reactive company out there, and if the info comes up a few times, they will react (and believe me... they read what is published and take good notes). hey Lenzy Ruffin did these tips work out to solve your electronic level "20 clicks" issue ? Thank you for trying to help, olivier borgognon but, as I wrote, I've read the manual a number of times over the last eighteen months. It's not possible to create the shortcuts I need. I don't know what an X-H1 is like, but on the X-T2, when you go to configure My Menu, most of the menu system is greyed out and unavailable for selection. Same with the buttons. The options available for selection do not include the two specific examples I cited, as well as many other menu items. There's just a lot of stuff in the menu system that can't be assigned to My Menu or to a button. It makes no sense, but that is the case. If you can get your hands on an X-T2, you'll see what I'm talking about. I completely agree. Lenzy. Why are we limited on what to include on My Menu or the custom profiles or function buttons? Frustrating. Canon has had this right for as long as I can remember. "...The new firmware brings that same enhancement to the older body, giving the PDAF points sensitivity down to -1EV..."
Hmmm, I guess the PDAF systems still have a ways to go, eh? More of an RTFM thing. X-T2 can't output 4k to both FLOG>SD and HDMI at the same time. They're up front about it in the settings. "EVF with 50% higher resolution." I'll have to take a look at that. I was really hot for the X-T1 when it first came out - until I looked through the viewfinder. That was the end of that. I was hoping the situation would change with the advent of the X-T2. Unfortunately that was not the case. I'll have to see how the X-H1 EVF fares. Timothy is right. The EVF is hands down, the best EVF I have ever used, and IMO miles better than every other mirrorless camera I have tried. I dunno, I just checked it out yesterday at B&H, and I have to say I wasn't impressed. A lot of blooming in the highlights and shadows that just sank away. Reminds me of the Leica SL EVF, although not as bad as the Leica. EVFs still have a way to go I guess. Pity none of these trickle down to the trusty old XT-1 though, which seems to have been totally forgotten by Fuji. I'm pretty sure by this point, the X-T1 processor simply can't handle a lot of the new technologies fast enough for it to be useful to implement them.